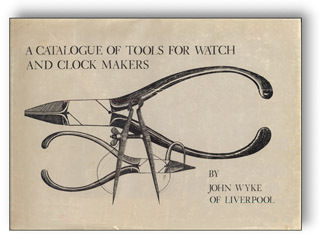 By John Wyke of Liverpool (England ~1780). A reprint by the The Henry Francis du Pont Winterthur Museum, 1978. 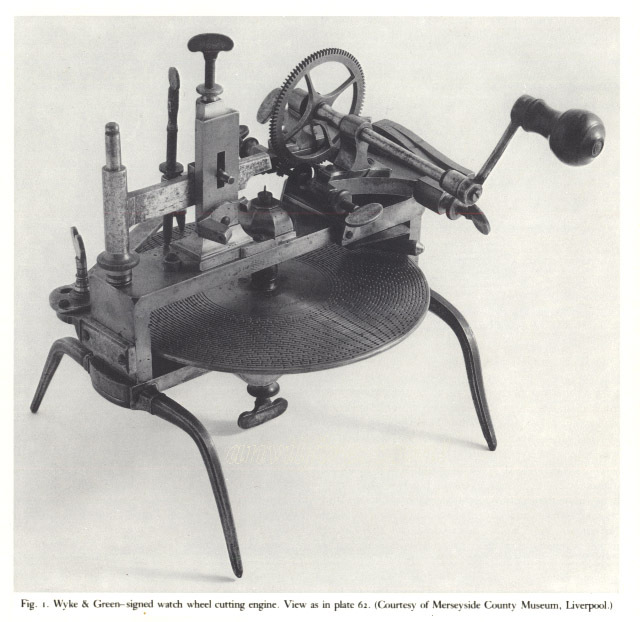 Three vise plates out of 62 copper plate engravings (Reprint 152 pages). 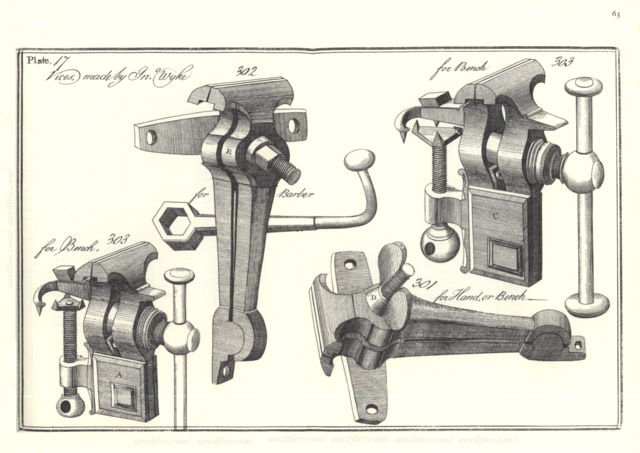 Basic tools through screw and gear cutters, dividing heads. One of my favorite old tool books. 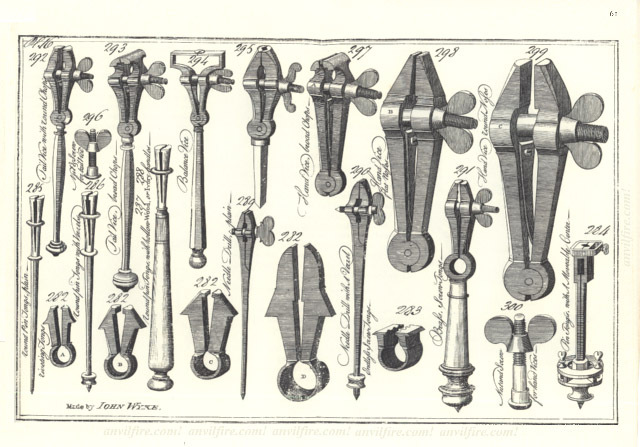 The amazing thing about many tools from the early Industrial Revolution is that many like the pliers on the cover have not changed in the smallest detail in over 250 years. 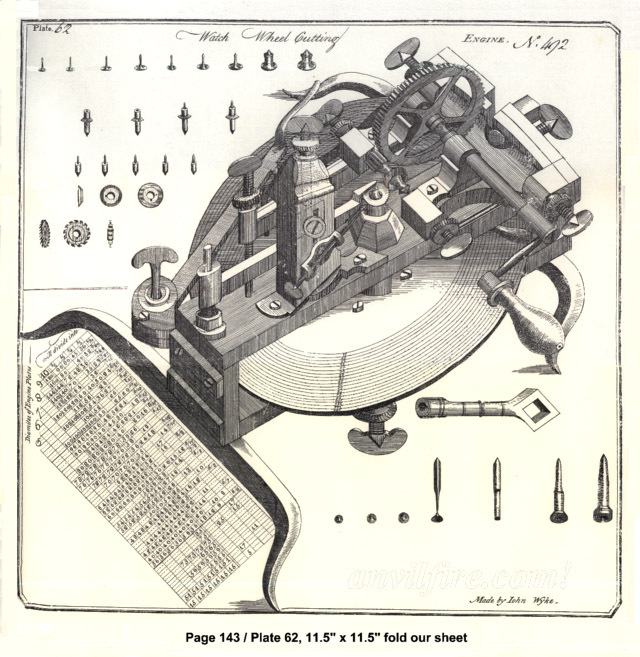 Plate 16, Pin, Specialty and Hand Vises, Vise Tools and Parts. 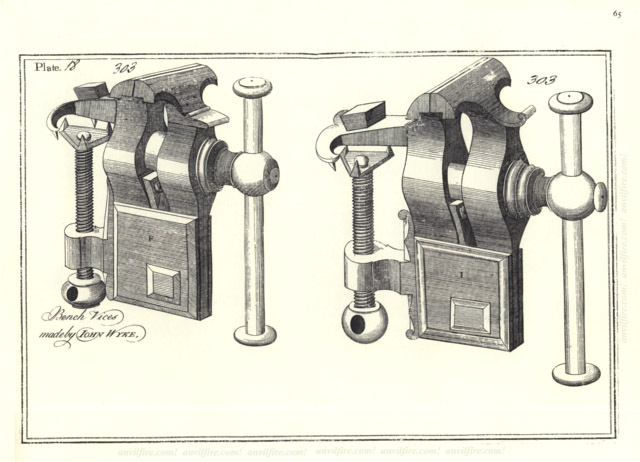 Plate 17, Very small and Small Bench Vises (approx 5 to 10 pounds). 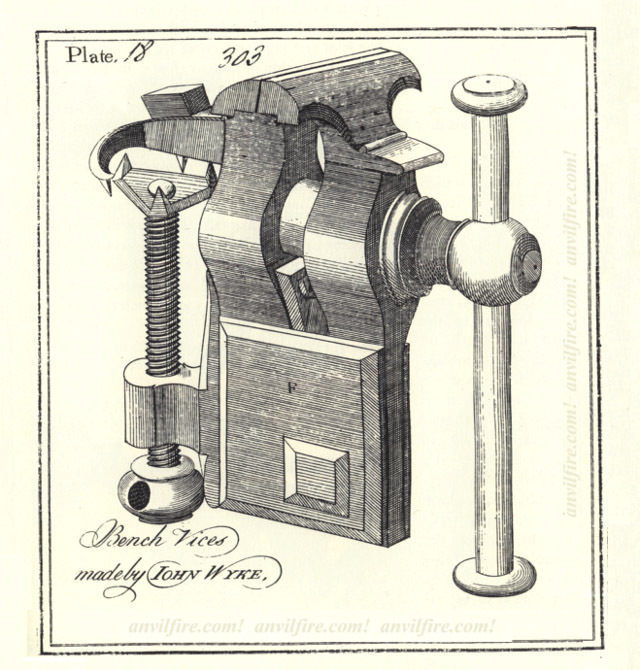 Detail Plate 18 of 62 (one of four sizes model 303 vise). This small bench top gear cutter has many of the features that will rapidly be applied to larger machines and machines of other types. While entirely hand made it has features that will be able to be applied to machines that make other machines. The dividing plate to make small hand cut gears will soon be a part of independent dividing heads and integral to larger gear cutting machines and mills.